Peter Ruben and his team of researchers have spent years studying why seemingly healthy patients with inherited cardiac arrhythmias can sometimes suddenly die during exercise. Scientists at the Helmholtz Zentrum München have examined health insurance data of more than 300,000 people with diabetes in Germany. An international study of integrated HHV-6 has discovered that a small number of human ancestors, one from about 24,000 years ago, have been responsible for transmitting ancient strains of the virus to individuals today - affecting about a million people in the UK alone. Coronary artery bypass (CABG) surgery is the standard treatment for revascularization in patients with left main coronary artery (LMCA) disease, but use of percutaneous coronary intervention (PCI) for this indication is increasing. New generation drug eluting stents (new DES) did not outshine contemporary bare metal stents (BMS) as they were expected to, in a surprise finding of the largest randomized stent trial to date. Single microRNAs derived from peripheral blood predict cardiovascular mortality in patients with coronary artery disease, German research shows. The German Institute for Quality and Efficiency in Health Care assessed the added benefit of ticagrelor for patients with acute coronary syndrome already in 2011 in its very first dossier assessment, just after the Act on the Reform of the Market for Medicinal Products had come into force. Aralez Pharmaceuticals Inc., a global specialty pharmaceutical company, today announced that it has resubmitted to the U.S. Food and Drug Administration the New Drug Application ("NDA") for its investigational candidate, YOSPRALA (PA32540/PA8140) for the secondary prevention of cardiovascular disease in patients at risk for aspirin-induced gastric ulcers. 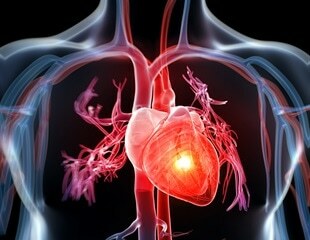 Too much or too little sleep is linked with an increased risk of certain types of cardiovascular disease. Women and the elderly are particularly at risk.Sleeping less than four hours or more than eight hours a night increases the risk of dying from some types of coronary heart disease, such as heart attacks and unstable angina pectoris, according to a study by Norwegian and Taiwanese researchers. Four-year results for an ongoing study of second-line bosutinib indicate that the tyrosine kinase inhibitor offers long-term efficacy with manageable side effects for patients with chronic phase chronic myeloid leukaemia. New Haven Pharmaceuticals, Inc. today announced new study data that shows the company's FDA-approved drug DURLAZA delivers sustained antiplatelet control for a full 24-hour period in high-risk patients. Results of the world's first publicly funded randomized controlled clinical trial of spinal cord stimulation, being presented today at the 12th World Congress of the International Neuromodulation Society, conclude that a fully powered clinical trial is feasible in refractory chronic angina pectoris, a disabling and persistent chronic pain condition. Antihypertensive therapy reduces the risk of cardiovascular (CV) events, strokes and mortality in hypertensive older adults, according to research presented at ESC Congress 2014 today by Dr Maciej Ostrowski from Poland. Cardium Therapeutics, an operating unit of Taxus Cardium Pharmaceuticals Group Inc. (Trading Symbol: CRXM) has announced the publication of a review article in the Journal of Cardiovascular Pharmacology that concludes a gene therapy product promoting the growth of blood vessels is “highly warranted” to treat about 1 million U.S. heart-disease patients and 6 million more worldwide who are either ineligible or poor candidates for traditional angioplasty, stent placement or bypass surgery. Taxus Cardium Pharmaceuticals Group Inc. will report today at the Biotechnology Industry Organization’s 2014 BIO International Convention on a pre-specified interim analysis from its international ASPIRE Phase 3 registration clinical study of Generx Ad5FGF-4, Cardium Therapeutics’ angiogenic gene therapy product candidate for patients with myocardial ischemia due to coronary artery disease. Micell Technologies, Inc. today announced that long-term clinical outcomes from its DESSOLVE I and II clinical trials were presented at the EuroPCR conference in Paris, France this week.